Although slightly outside of our normal 50-mile radius, it’s not going to stop us from letting you know about it! Because if you’re a film fan, then you NEED to know about it! The 2019 Martha’s Vineyard Film Festival gets underway this evening. Taking place at various locations in Chilmark, TMVFF hosts an eclectic mix of narratives and documentaries that will be sure to please island natives and visitors. Some of the most lauded films of the past year at other major festivals are being showcased this year, including the popular fish-out-of-water foodie doc “The Biggest Little Farm“, historical music doc “A Tuba To Cuba“, last summer’s monster hit (and major award winning) doc about legendary children’s host Fred Rogers, “Wont You Be My Neighbor?“, and current NASA sensation “Apollo 11“, along with some top notch narratives such as multi-Spirit Award and Chlotrudis Award nominee “We The Animals“, and critically acclaimed war biodrama “A Private War“. 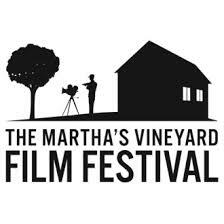 The Martha’s Vineyard Film Festival runs through this Sunday. You can find a complete schedule here, and ticket purchase information here. There is a slight discount for tickets if you are a member of TMFVV, which you can find out about here. So if you’re in the Cape Cod area and are looking for an island excursion, or if you live in the Cape and Islands year round, the festival has something for you! Be sure to check it out, and when you drop, drop eCinemaBoston a line and let us know what you think!